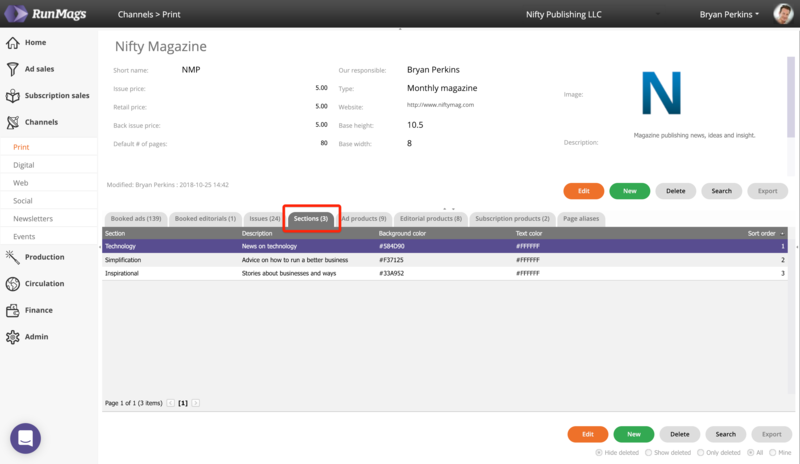 Create sections for you print magazines so that sales reps can assign advertising to specific sections. In tab named Sections you can find any sections for your selected magazine. 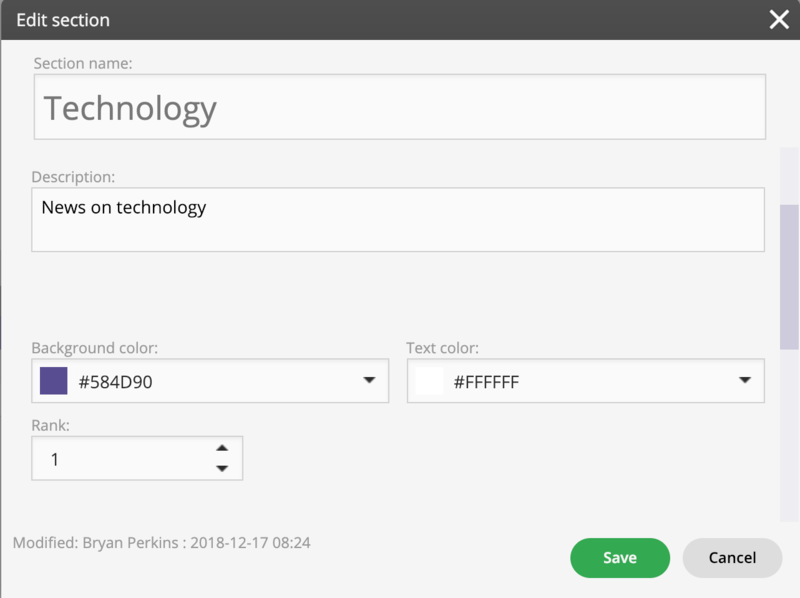 To add a new section, click the green New button. To edit an existing section, click the orange Edit button or double-click the section. The name will be displayed in deals so that sales reps can assign advertising to select sections. The background and text color is used for the footer of the thumb nails in the flatplan. The Rank is used to order the sections in any dropdown fields.